Agile methodology has a long history with deep roots. It evolved across decades from an array of research and writing by individuals with diverse backgrounds. One thing they all shared was the desire to quicken the pace of development – whether it be for a product, a manufacturing line or software. When you think about insurance, project methodologies may not be the first thing that comes to mind. Yet, as business and IT professionals find themselves increasingly working together toward the shared goal of digital transformation, the topic has gained importance in the boardroom. And with good reason. Many projects have cost much more and taken much longer than expected. Scientists, product managers and engineers have been investigating what determines a successful project ever since Walter Shewart of Bell Labs began using Plan-Do-Study-Act (PDSA) cycles to improve products and processes in the 1930s. Shewart taught his young apprentice W. Edwards Deming the iterative development methodology that he used to create the famous Toyota Production System, the seed of today’s “lean” mentality. In 1986 Hirotaka Takeuchi and Ikujiro Nonaka published an article called “The New New Product Development Game” in Harvard Business Review. They examined manufacturers like Fuji-Xerox, Honda and Canon that were releasing innovative technologies faster and more successfully than their competitors. As personal computers and then the Internet became mainstream in the late ‘80s and ‘90s, it was crucial that developers find a way to quickly implement their innovations, obtain feedback, and launch their technologies in order to stay competitive. This was referred to as “the application development crisis” or “application delivery lag” where the estimated time between a validated business need and solution could be up to three years. In some cases, it was much longer, which meant that projects were often cancelled or no longer met the original business need when finally completed. In 1993 agile co-founder Jeff Sutherland found himself with an incredible challenge working for the Easel Corporation: develop a new product to replace a legacy system in six months. Sutherland was well versed in rapid application development, object-oriented design, PDSA and skunkworks methodologies. He set out to foster this kind of culture and began learning everything he could about optimizing productivity when he came across Takeuchi and Nonaka’s rugby approach. Sutherland embraced many of their ideas and established a novel way to develop software based on the rugby metaphor, calling his approach “scrum.” This method allowed him to complete seemingly impossible projects on time and with fewer bugs. He then joined forces with colleague Ken Schwaber to structure the approach, which they presented to the public in 1995. In 2001 a group of 17 developers, including Sutherland, met in Snowbird, Utah, to discuss their views. Sutherland was a proponent of scrum. There also were advocates for a number of approaches such as extreme programming (XP), adaptive software development (ASD), crystal, feature-driven development and the dynamic-systems-development method (DSDM). The group finally agreed on a new name for the movement – agile – suggested by a member who was reading the book “Agile Competitors and Virtual Organizations: Strategies for Enriching the Customer.” The “Manifesto for Agile Development” was born and hinged on 12 key principles that are being applied across industries worldwide, including insurance. 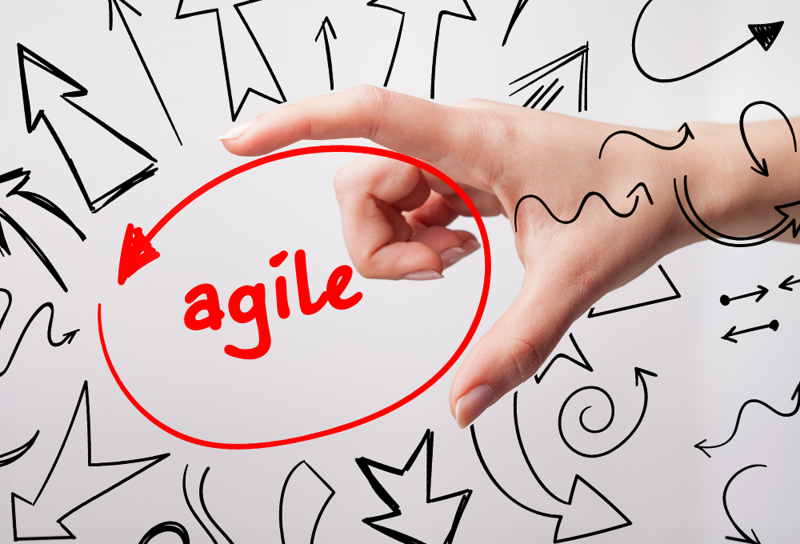 Agile development has proven to be a major advance. In my next post, I’ll discuss the top challenges and key success factors for agile development in insurance.